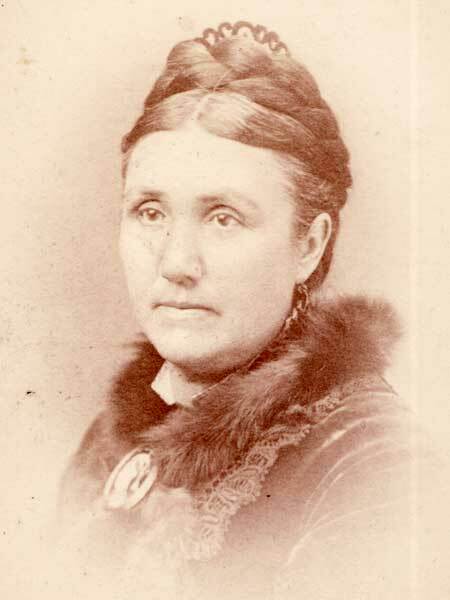 Born at Fort Garry around 1830, daughter of Andrew McDermot and Sarah McNab (?-? ), she married prominent businessman A. G. B. Bannatyne. She was highly educated and devoted much of her time to charitable works. One of her interests was the Winnipeg General Hospital which had been built on land donated by her father and her husband. In February 1869 she horsewhipped Charles Mair (either in her husband’s store or on its front steps, depending on who tells the story) over slurs that Mair had published about mixed-blood women in Red River. She died at Cannington Manor, Saskatchewan on 14 May 1908 and was buried in the Kildonan Cemetery. “Death of one of the pioneers,” Winnipeg Tribune, 14 May 1908, page 1.